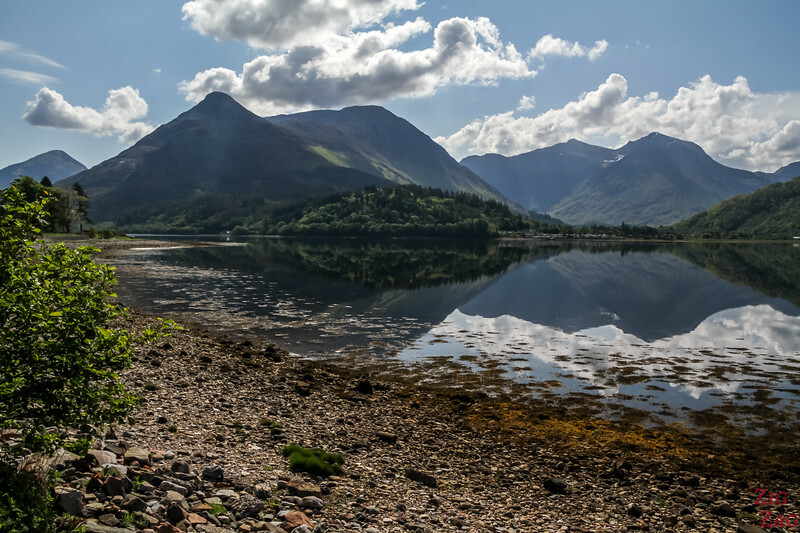 Loch Leven Glencoe in Scotland is one of the most scenic loch in Scotland: a narrow arm of sea water surrounded by some of the highest peaks in the Highlands. Below you can discover it in photos and video and plan your visit with the practical information. 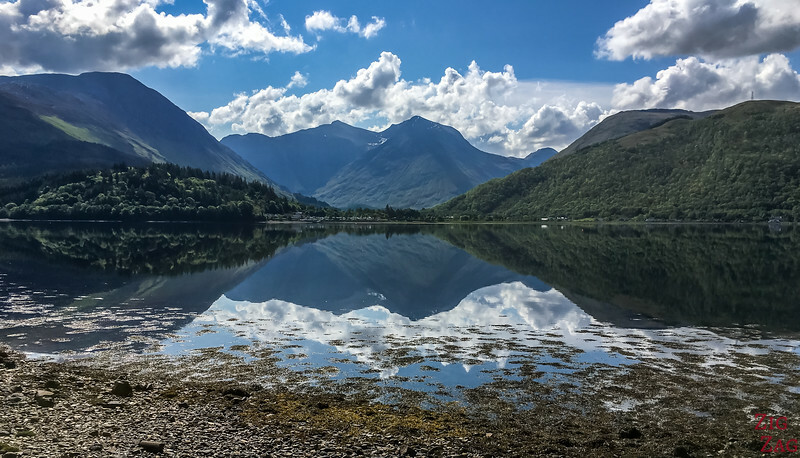 Let's start with a short video that will give you an idea of what driving around Loch Leven in Glencoe looks like on a beautiful day. 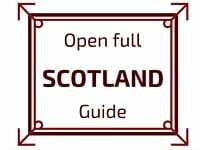 And below you will find practical information and photos taken at each stop. 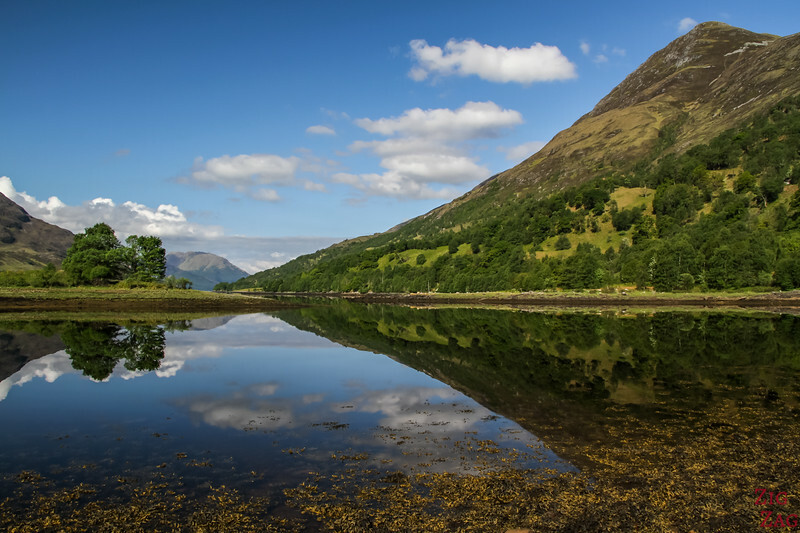 Loch Leven Glencoe is located in the heart of the National Trust. 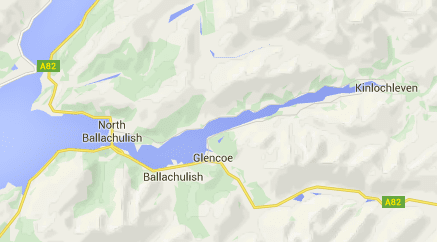 It is a sea loch, an arm extending from Loch Linnhe to Ballachulish. It's length is 14.1 km and its width varies from 200 m to 1.6 km. 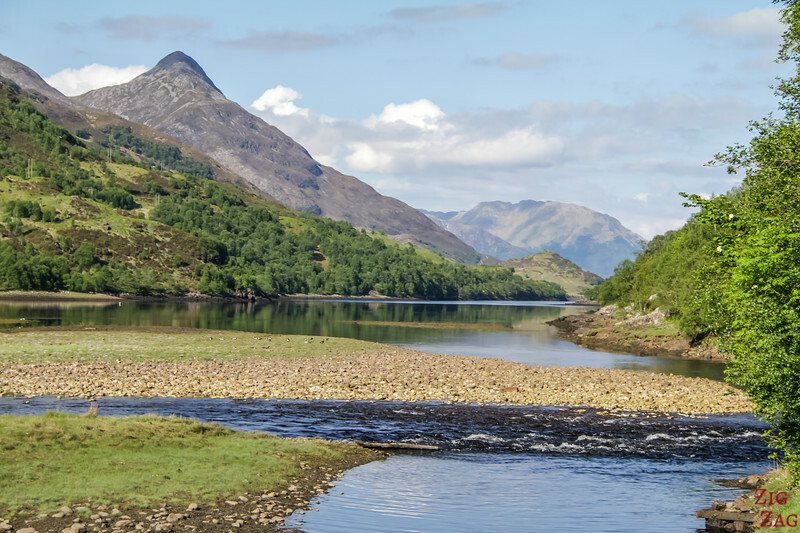 As it is quite narrow and surrounded by the Munro and peaks of Glencoe, it is one of the most scenic lochs in Scotland and, I think, one of the top Scotland Attractions. 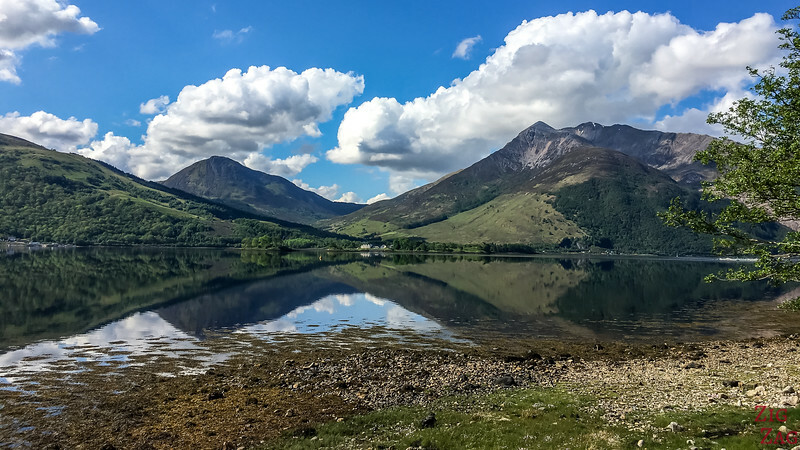 ​Glencoe and Loch Leven are a 2h50min drive from Edinburgh, a 2h drive from Glasgow and a 30min drive from Fort William. Be careful there is another loch Leven between Perth and Edinburgh. My google maps select it by default. 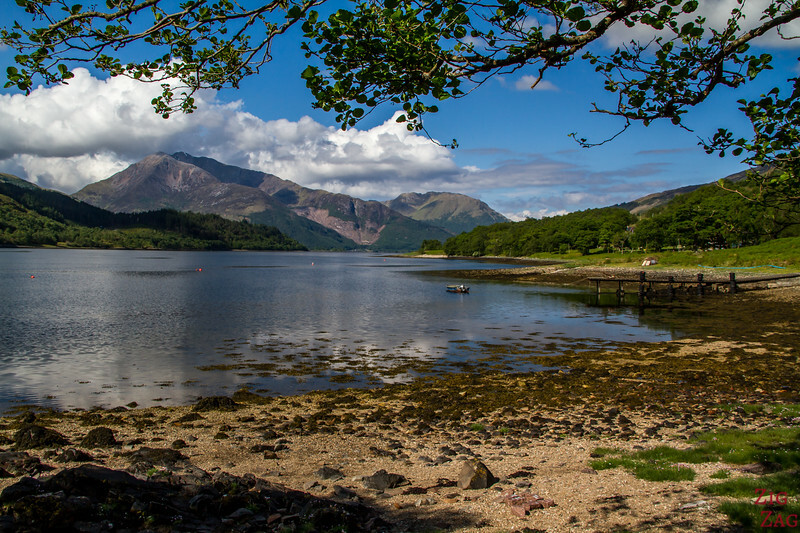 in Wikipedia it is Loch Leven (Highlands). The road is in good condition and has 2 lanes all the way. 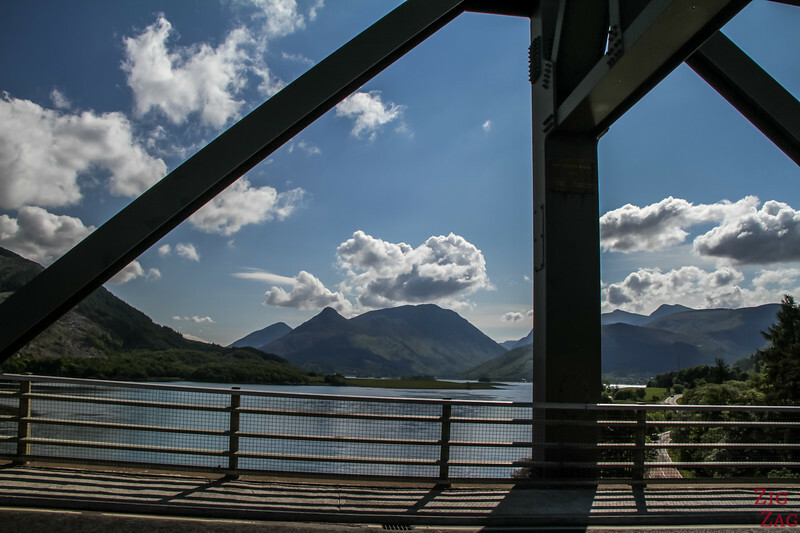 The 5h Pap of ﻿﻿Glencoe trail - very steep with 716m ascent but with wonderful views of the area. Photos in the user's reports on the link above. 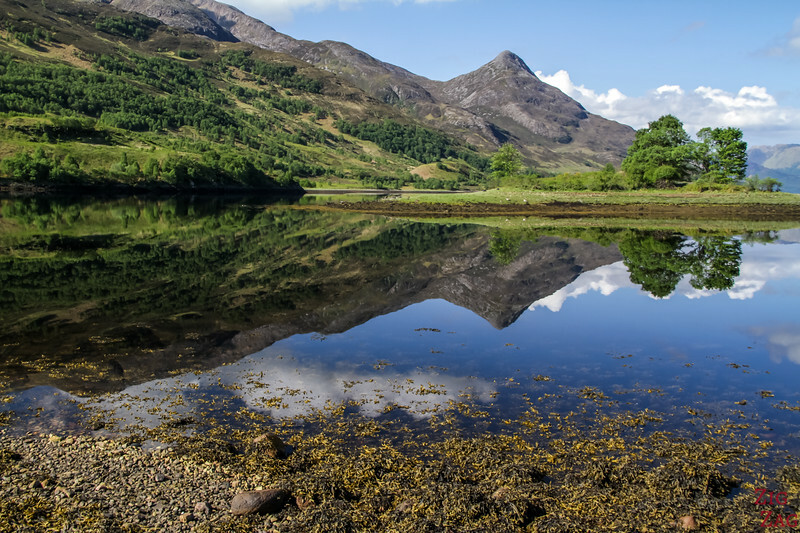 The 6h Garbh Bheinn Trail, also a steep one with 865m ascent. Photos in the user's reports on the link above. The 6h Blackwater Reservoir trail with an ascent of 550m taking through the forest to a dam. 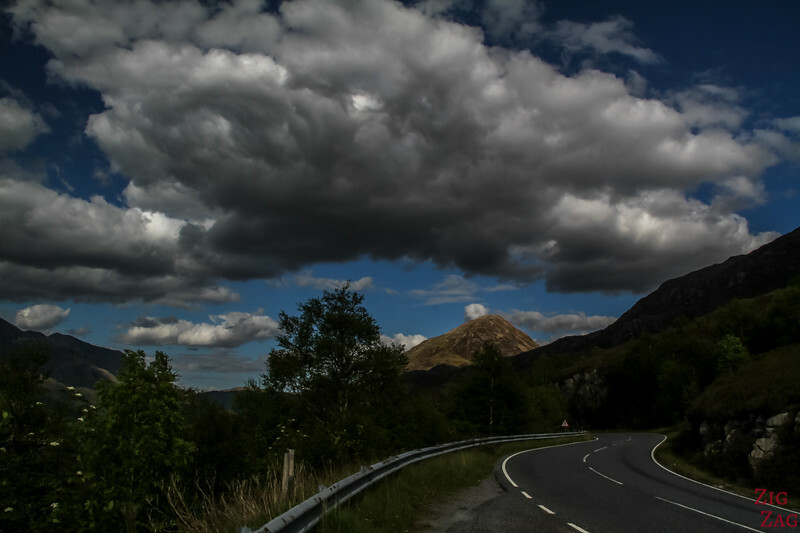 In the evening we drove along the South East Cost from the town of Glencoe to Kinlochleven at the end of the Loch. This side has not many views as you mostly see trees. But I found a couple of stops along the road. Driving a little bit further you will find parking with a picnic area. After that stop there is a small mound with great 360° views. Here are the pictures of Loch Leven taken at the end of the afternoon. It seems I did not write down the GPS coordinates but you cannot miss it as you drive on B863. 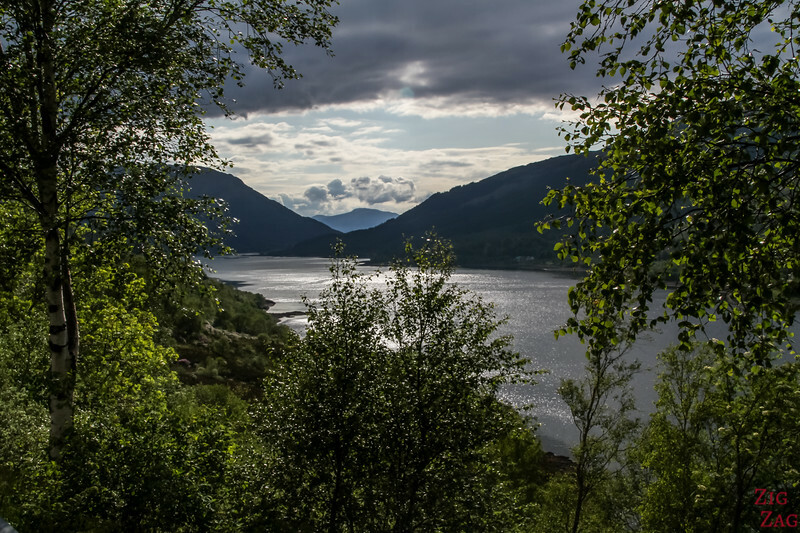 At the end of Loch Leven is the town of Kinlochleven. It is bigger than I expected. 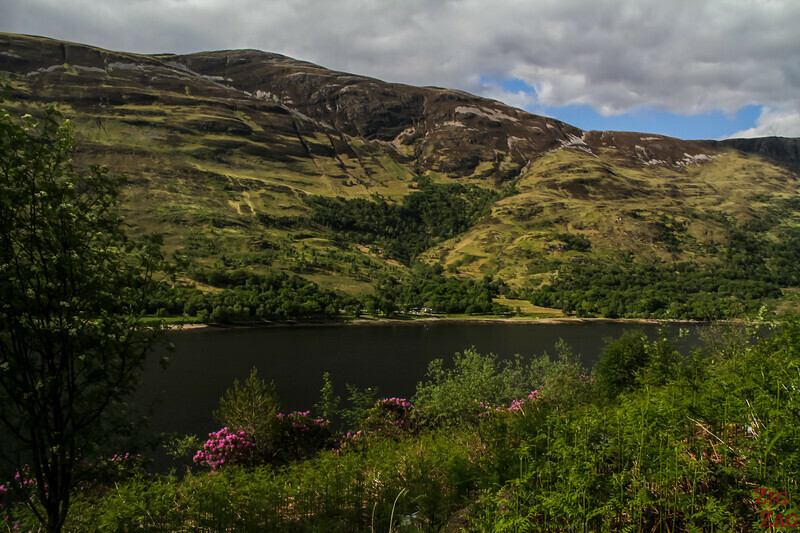 It is a big stop for people doing hiking and multi-day hiking in Glencoe. This is a sea Loch so its end is under water or not depending on the tide. 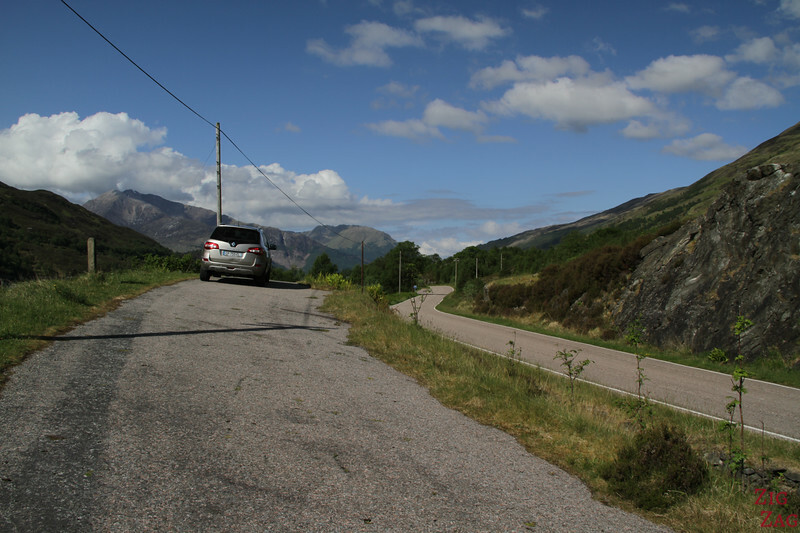 One of my favorite stops was not long after leaving Kinlochleven. For those looking for a place to stay, at this spot we saw motorhomes and campervans. There is a large parking. 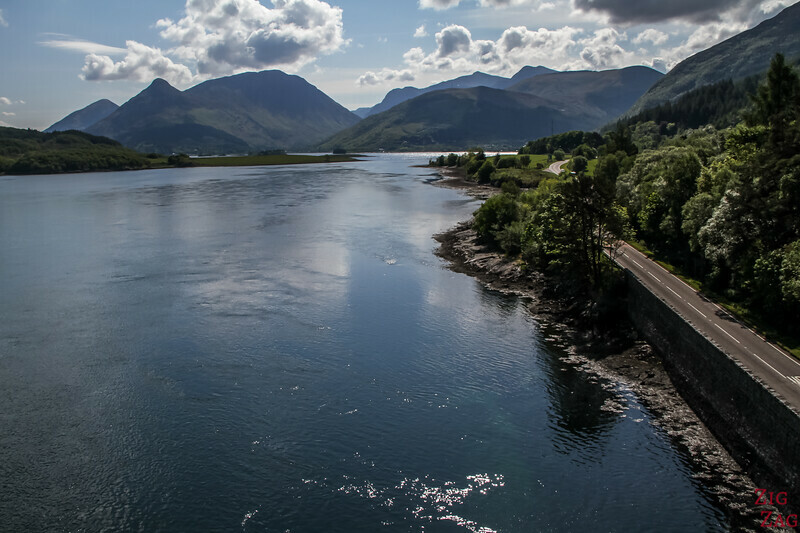 On the North Coast of Loch Leven, the road goes closer to the water and there are less trees. 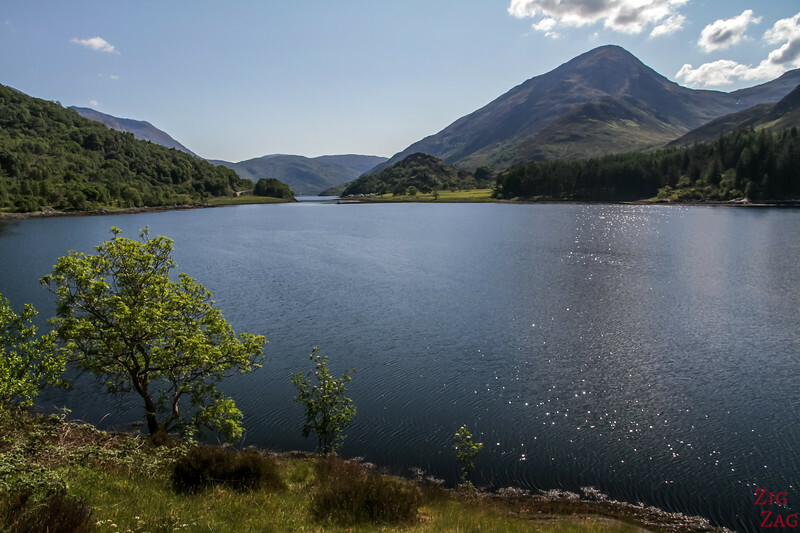 You get better views of this magnificent loch. Sometimes you spot a place to park and you can admire the view. Then there is a series of cleared coves where you can see some of the best summits around. 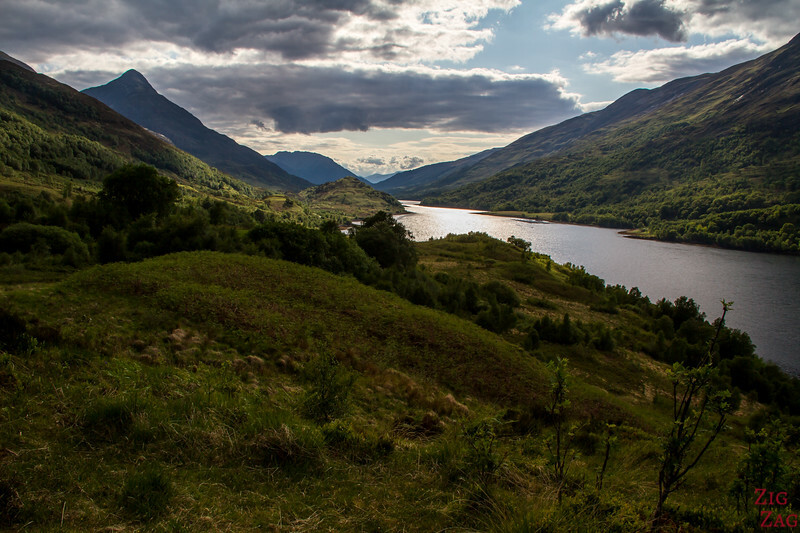 It is just across from the town of Glencoe. 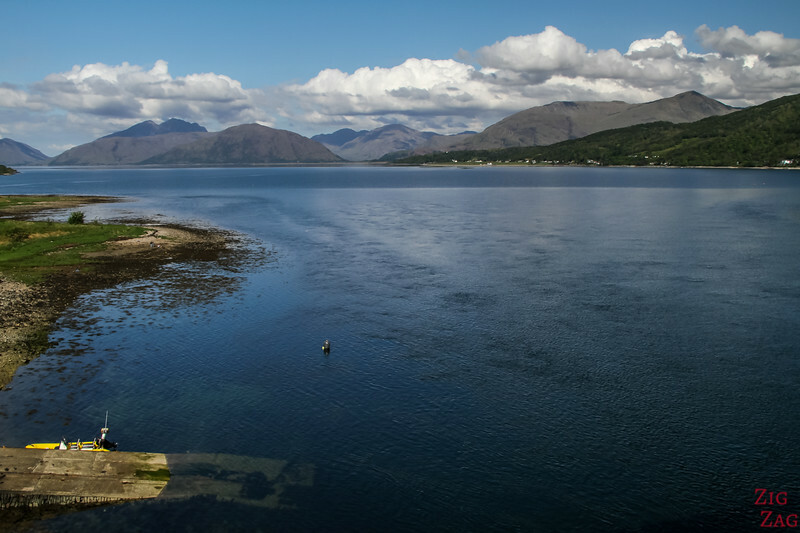 At the mouth of Loch Leven, where it joins Loch Linnhe is a bridge that allows you to reach Fort Williams faster. 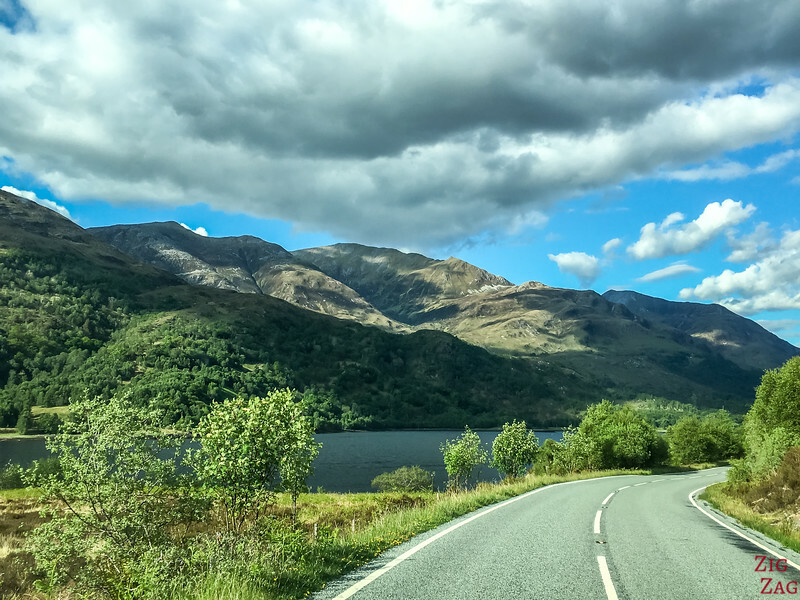 However I strongly recommend driving around the loch if you have time.